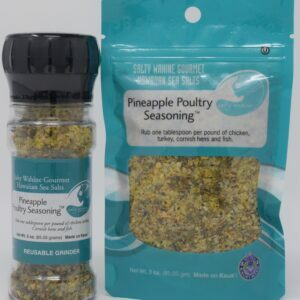 1st Place Scovie Award winner (National Fiery Food Show competition in Albuquerque, NM) in the Cook It Up, Dry Rub/Seasoning – All Purpose category. 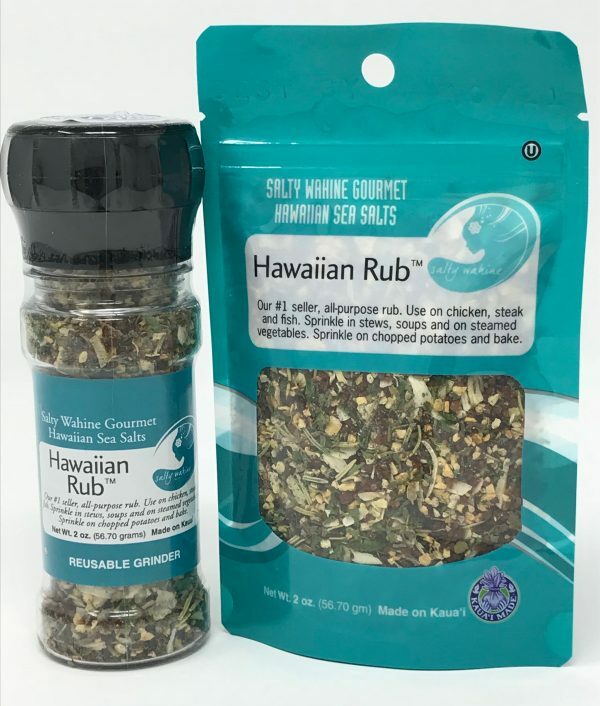 Hawaiian Rub, our all-purpose rub and seasoning, is our #1 best seller! Use it on chicken, steak, sprinkle in stews, soups, and on steam vegetables. For a little extra zest, sprinkle on chopped potatoes and bake. My husband and I bought this 3 years ago and have not found anything that compares. It’s the best and we love it! I came across this at a luau in Kauai. By far the best thing I brought home from my trip. This blend is the best I have ever had, I cannot get enough! We bough this on our honeymoon to Kauai. Words cannot describe how delicious it is! We use it in SO many recipes. On veggies, in soups, on meat… you name it – it’s the best! We have been ordering now for years and will continue for years to come! BUY THIS – you will not regret it!!!!! I have used a lot of spices from all over the world and I barbecue a lot! Since finding this Hawaiian rub nothing in the world compares!Give it a try you too will agree!?? Love the Hawaiian Rub. Discovered it three years ago on our trip to Kauai. I have since bought the gallon several times. Was disappointed however to see the price go up. Aloha Roni, I was sad to raise the price myself. Our ingredients have gone up so much in price due to drought. For example, our garlic from Gilroy california went up from $3.55/lb to $9.99.lb. Same with our black pepper. Hopefully the drought will end and prices will come back down. If they do, I will lower my prices to pass the savings on. In the mean time, we are looking at alternative sources with the same or better quality for the same or cheaper prices plus we are looking to streamline our salt making process to be more labor efficient, so if everything goes as planed, we should be able to adjust the price accordingly. Keep your fingers crossed. Mahalo for bering such a loyal customer. 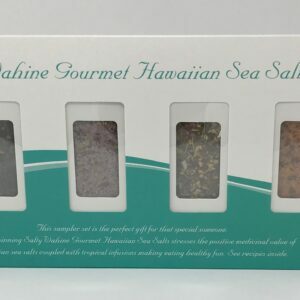 Aloha, Laura Cristobal Andersland, owner, Salty Wahine Gourmet Hawaiian Sea Salts. This is the ultimate, hands down best rub I’ve ever used. I’ve been ordering it for years after finding it at a farmers market in Kauai. Can’t get enough of it! Order it all the way to Canada! Thank you for enjoying our #1 seasoning. Laura created Hawaiian Rub when she was 11 years old. 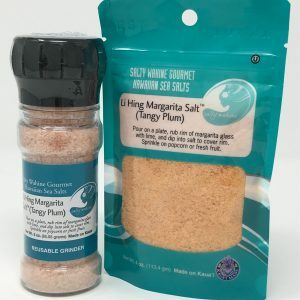 Salty Wahine products make eating healthy fun! 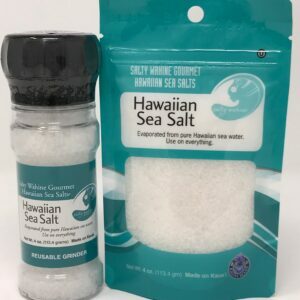 I went to the local market to find a seasoning I could use on the Mahi Mahi fish we bought at Costco when visiting Maui. I did think it was a bit pricey but the flavor on the fish was delicious. I ended up getting a few more packets to take home. My households absolutely favorite! We are never without it in our spice cabinet. Love to use it on steak, pork chops, chicken….you name it! Nothing compares to the wonderful flavors! Thank You for letting us know how much you like our Hawaiian Rub. It received a 2018 Scovie Award as the #1 dry rub seasoning. Our Island Volcano was voted the #1 dry rub award from the Zest Fest attendee’s. It was quite an honor to have the best dry rub at a Texas event at the Irving, Texas Convention Center in Jan 2018.